The first 250 copies of The Reptile 1966 Ultimate Guide are signed by authors Nige Burton and Jamie Jones, and come with a FREE art print! The Reptile 1966 Ultimate Guide captures the eerie atmosphere of the movie, like the brochure you might have bought at the cinema in 1966! Something dangerous is prowling the streets of Clagmoor Heath and Mad Peter suspects something about the spate of mysterious deaths – track down The Reptile with our beautiful Ultimate Guide magazine. 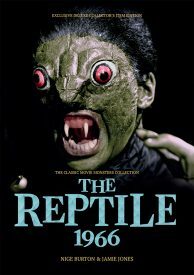 Hammer created a new type of monster with their moody 1966 thriller The Reptile, turning Cornish village life into the stuff of nightmares. Elements of eastern mysticism, body horror and a superb villain the shape of the nefarious Dr Franklyn turned what could have been a niche movie into a beloved classic. Our full-colour signed Ultimate Guide magazine is packed with stills, information and insight into the making of this treasured entry into the annals of Hammer Horror. Within the pages of our lavishly designed signed guide to The Reptile, you’ll learn about the making of the movie itself and its place in the Hammer story, as well as discovering the lives of the people who brought it to the screen. From principal cast members Noel Willman, Jacqueline Pearce and Jennifer Daniel, to director John Gilling and composer Don Banks, there are so many skilled artists we have to thank for this piece of cinematic magic. 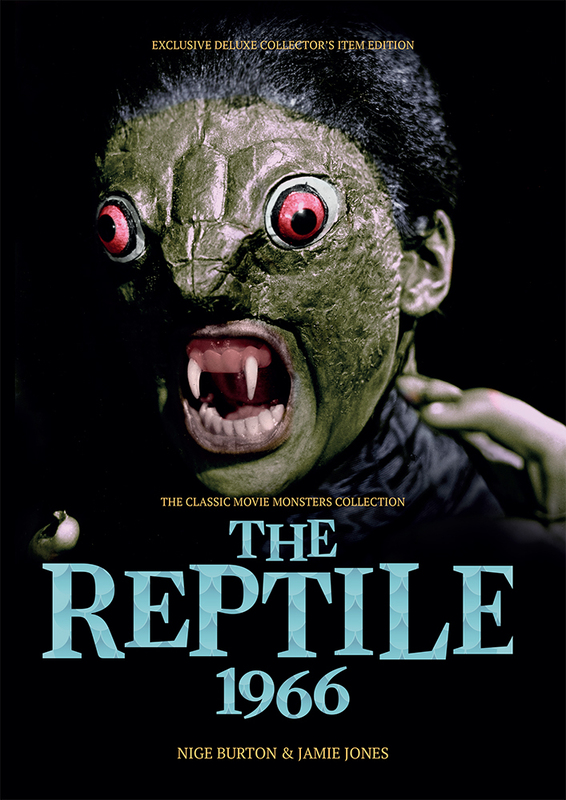 Beautifully reproduced stills and artwork turn the ominous atmosphere of The Reptile into a compelling high-class publication you won’t want to put down. 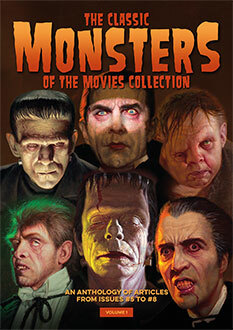 As you discover the story behind this cherished motion picture you’ll also enjoy another Classic Monsters magazine guide that celebrates classic horror with a combination of passion, style and luxurious production values. Remember, the first 250 copies are signed by Nige Burton and Jamie Jones, and come with a FREE Reptile art print.